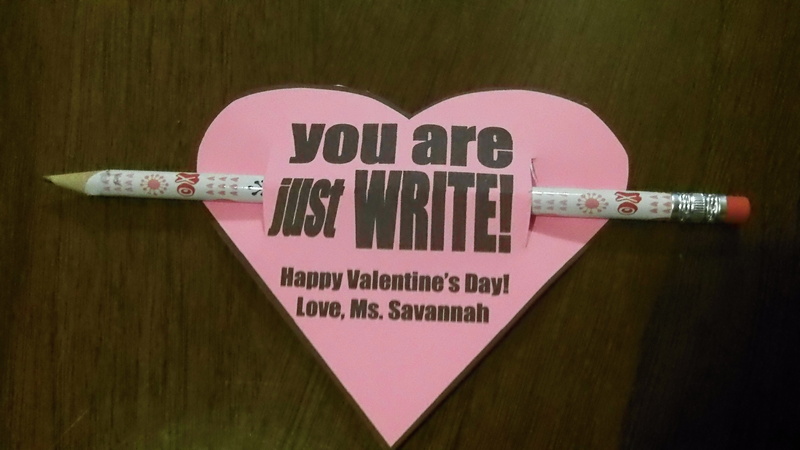 I happen to have a ton of pink paper and some plain white card stock, so I made some quick and easy valentines for my students. Printed them out on pink paper and glued the whole sheet of paper (3 hearts fit on it) to white card stock using a glue stick. THEN I cut out the hearts. I had to bend them around the fattest part of the heart (horizontally) to cut two vertical lines – about an inch and a half – to slide a pencil through. I bought a pack of 8 pencils for $1.50 at Target. They were hard to find last weekend when I bought them. I sharpened them and pushed them through the slits in the valentine. Happy Valentine’s Day! Enjoy your day this Saturday! Do you make valentine’s for any kids in your life? This entry was posted in Cards, DIY, How-To, Valentine's Day and tagged crafty, DIY, easy, handmade, heart, Valentine, valentine's day. Bookmark the permalink.